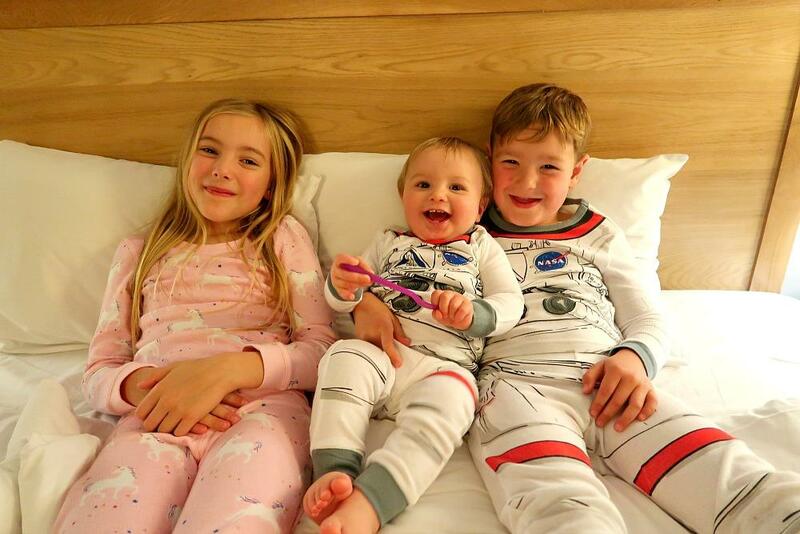 What’s it really like to have three children? We made the decision to have three children (mainly me persuading Daniel it would be a lovely idea) because it just felt like the right thing for our family. I was 23 when I was pregnant with Archie and the thought of not having another baby ever again at only 23 quite literally broke my heart. Every time someone would say oh you are so lucky you have one of each, no need for anymore or ask me if we’d have more and I’d reply no that we were done under gritted teeth and a sunken heart. I knew deep down I was not done at two children. So here we are 4 years after having Archie with three wonderful children our youngest Arthur nearly one years old in December and I can honestly say it was the best decision we ever made. Don’t ask me that on a sleepless night though ….!! 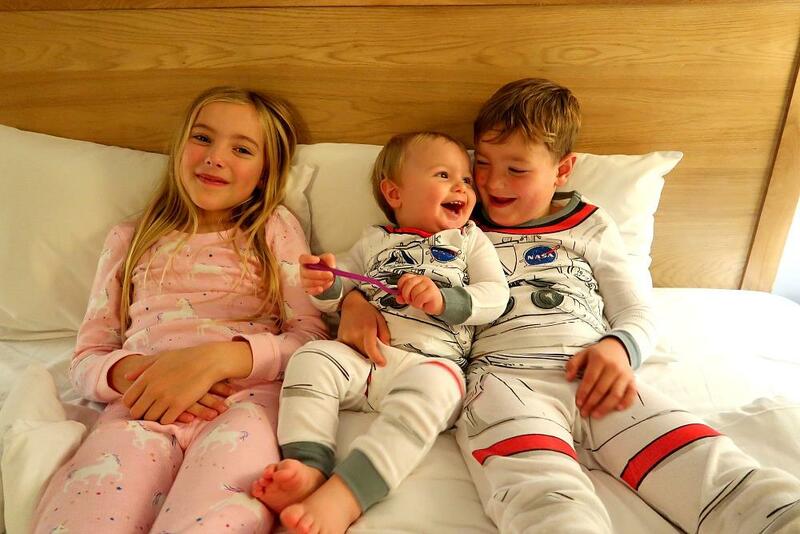 having three children changes a lot but one thing it does is add even more love and laughter into your home. I truly do feel like Arthur is the last little piece to our puzzle he just completes our family perfectly. Now that Arthur is a year old I feel like I’m okay with three on my own but ask me that when he was much younger and my answer would not be the same. I’d get really bad anxiety been left alone with all three by myself, worried I wouldn’t be able to cope with all of their demands at once. I’d cry a lot to Dan about it. But I got through those moments and I’ve learnt a lot. Archie has calmed down a lot and is a lot more understanding and patient then he was right when Arthur was born, so it makes it easier. We are very lucky that Sophia was 7 when we had Arthur so she is a huge part in making the new dynamic work for all of us. She makes mine and Dans life a lot easier with a third new baby. School mornings she’d hold baby Arthur while I helped Archie or packed lunches or cleaned up the kitchen for breakfast. She helps me now still but a lot less as Arthur doesn’t sit still and to be honest he’s much easier now toddling around not needing to be comforted and held 24/7. 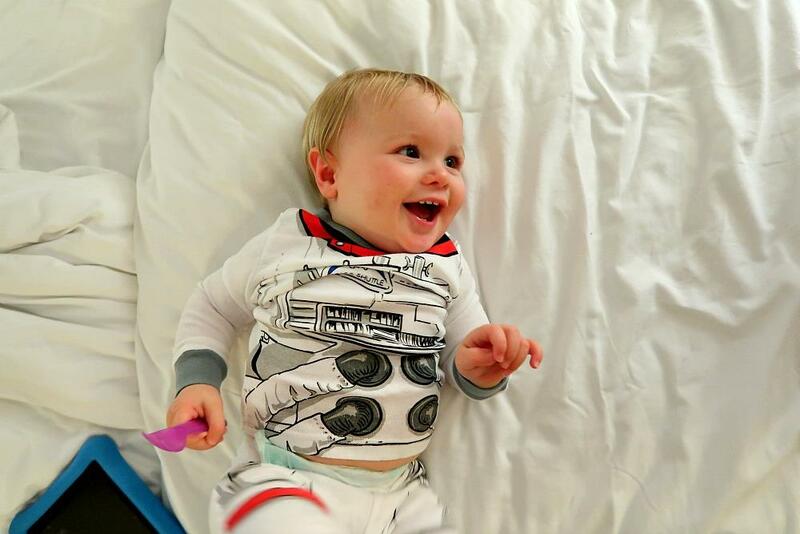 I feel like only now that Arthur is a nearly a year old have we got into a good swing of things that I feel I can manage alone when Dan is at work and I have all three over the weekend or on half terms, it’s taken a while for me. And I am happy to be open and honest about that. I definitely needed to find my feet as a mother of three and it took me a while. Bedtimes on my own gave me the greatest anxiety when Arthur first arrived, lucky Dan didn’t do too many late nights so that took the pressure off of me having him around at bedtimes, now nearly a year on, I happily do the bedtime routine by myself its as if everything has just slotted into place nicely, Arthur sleeps really well and is such a good boy, Sophia goes to bed without a peep and doesn’t make any fuss (sometimes she says up later with me) and the same for Archie, of course there will be the odd night thats not so smooth but mostly bedtimes are good. The major adjustments were Archie and Sophia getting used to sharing me with a baby at the beginning this is quite intense for the older children as mum and baby are attached to each other for a while at the beginning. This is where Dan stepped in and was just amazing looking after the older ones doing dinner and all household chores while I recovered from birth established breastfeeding and bonded with Arthur. I didn’t lift a finger in the first few weeks and it was just what I needed. I’m forever grateful for my husband in making our transition to three joyful and easy. Without him I would have crumbled. He always stepped in when I needed him and always reassured me when I worried. He still does now. He is such a supportive partner and I don’t give him enough credit but I don’t know where I’d be without him. Another adjustment we needed to make was that we had to get a new car as we needed more space. Its been the best decision we have made and actually I wish we had this car when we just had Sophia and Archie. Having more space just makes everything so much easier and the children love our new car too. Other then that the most challenging thing I’ve found with three is meeting all of the children’s demands when they all want and need me at the same time. This doesn’t happen often its usually only when I am on my own with all three when its after school, when Dan works the weekend or over half term holidays. But I also think this is part of growing up in a bigger family, you learn patience and you learn to share each others time between you. Sophia and Archie both understand now to wait for me to finish with Arthur or what I am doing depending on what it is they need. They also help with the everyday family dynamics, like setting the table, Sophia helping Archie with his shoe laces or packing their school bags on a Sunday night. Its also all part of growing up and I think they are doing so well with all of it. 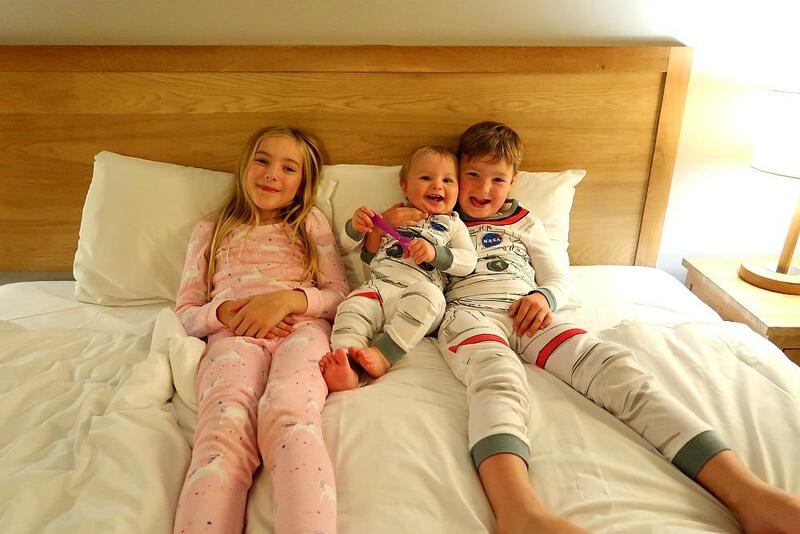 Being in a family is all about team work its something I have always spoken about on my blog and I really try to encourage the children to work together and that we are all here to support each other in our family. Sophia is 8 so very independent and both Archie and Sophia dress themselves in the mornings and pack their school bags themselves in the morning so it’s just the general mummy duties of homework and bath time, cleaning and looking after Arthur and working from home when they are at school that have stayed the same really. Having three I crave those days to make sure everything at home is okay for when they get home after school and to get work done and run errands and spend some one on one time with Arthur. One thing that is the most amazing feeling is watching the three of them together especially when they are having a few crazy minutes and dancing around together or all sitting and drawing Arthur trying his best to join in too, I just look at them and think how’d I get so lucky. It’s the most funny adventure growing up with siblings I still remember so many moments growing up with my sisters. I also always remember craving a brother. I’d always play with the boys in primary school I found them just a lot easier to get on with and liked playing ball and climbing trees. So I’m so happy my little Sophia has two little brothers. She’ll always be loved and looked after by them and vice versa. She is a brilliant sister and little mummy to both of them. Having a family takes a lot of work. Making sure everyone is happy and positivity is nurtured. But it’s so worth every second. I dream of all three of them chatting to me about their lives and what they want to achieve. I look forward to watching all three of them evolve in this world and I certainly look forward to having a very full house at Christmas. It’s full now and that feeling is priceless. Love my little family so much and not a day goes by I am not thankful for our three children. That’s one thing having a third has forced me to do. Look after myself do what I enjoy like bootcamp and working from home, so that I can be the best mum to my three children. It’s a juggle fitting it in but I wouldn’t have it any other way. 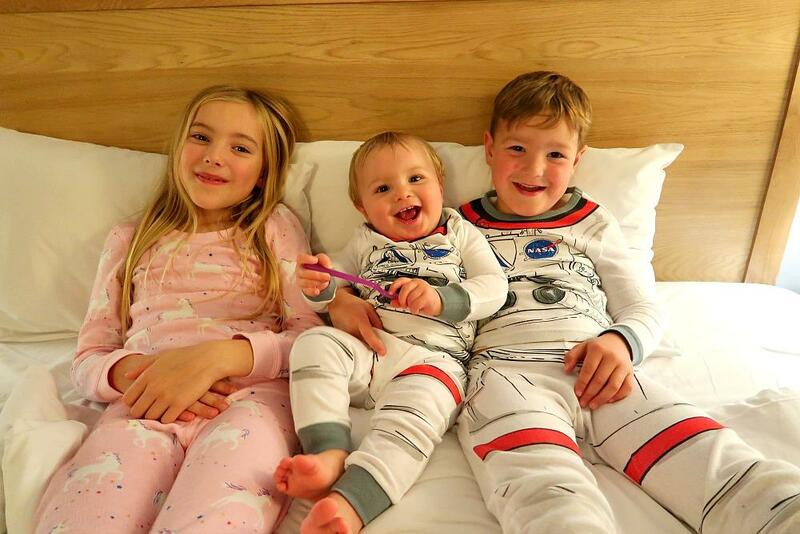 So if you really want to know what it’s like having three children it’s just the same… a bit more of a juggle but ultimately organisation is key and keeping a positive mind and just enjoy every moment.